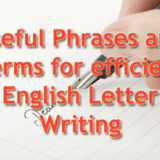 Home » Posts tagged "English Letter Writing"
Useful Phrases and Terms for efficient English Letter Writing. Write a letter to your father requesting him to send you some money. Write a letter to the Health Officer of Municipal Corporation, complaining about insanitary conditions in your locality. 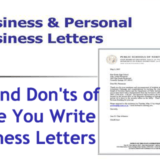 Write a letter to your friend congratulating him on his success in sports. 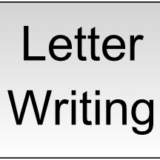 Write a letter to the Postmaster complaining against the Postman of your locality. A letter to your friend congratulating him on his brilliant success. An application to the Principal for remission of fine.